The application portal for summer 2019 is now closed. 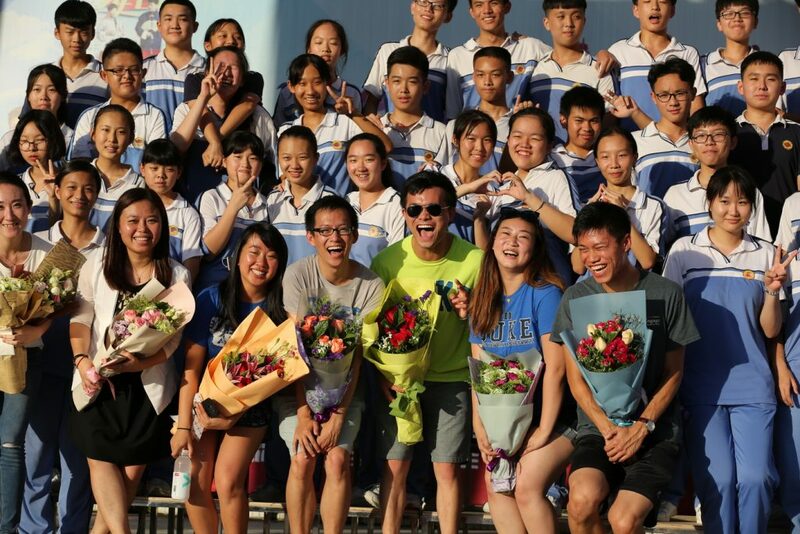 After their own post-graduation exploring, members of the DukeEngage-Zhuhai 2015 program returned to their host city to fulfill a promise made years ago to the students who touched their lives. Two years later, students at No. 9 Middle School and five of their DukeEngage mentors from the summer of 2015 stood together once again, this time during the School No. 9 graduation ceremony, a celebration of the completion of 9th grade.